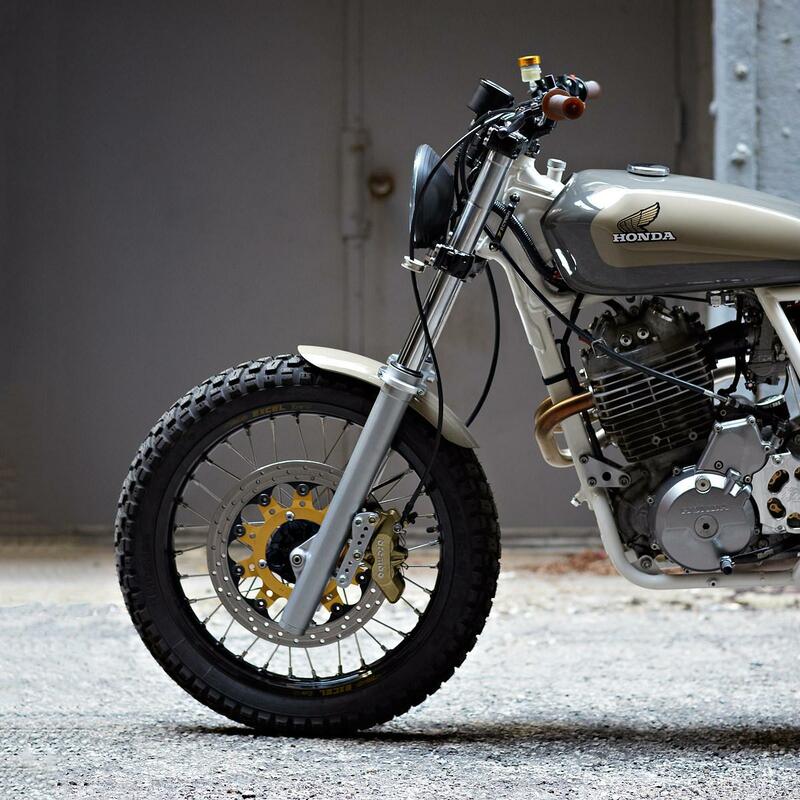 ‘Cabin Fever’ is based on a Honda XR650. It has a new subframe, suspended by twin YSS shocks. A custom seat, the front end now sports LSL Street Low bars—with brown Tommaselli grips—behind a Hella 500 Black Magic headlight. A compact Shorai battery hides in an aluminum box under the seat. Daniel Peter has ditched the stock 40mm Keihin CV carb and installed a 41mm Keihin FCR-MX flat slide, supplied with fuel via a high flow Pingel petcock. Bigger upgrades were reserved for the suspension and brakes. Daniel has lowered the lofty stock forks by three inches, fitting stiffer springs and Race Tech Gold Valves for better damping. Stopping power now comes from 4-piston Brembo calipers, clamping on a 320mm floating front rotor taken from a Husqvarna SM610. Daniel Peter has just ramped up the fun factor a notch—and turned the ugly duckling into a swan. 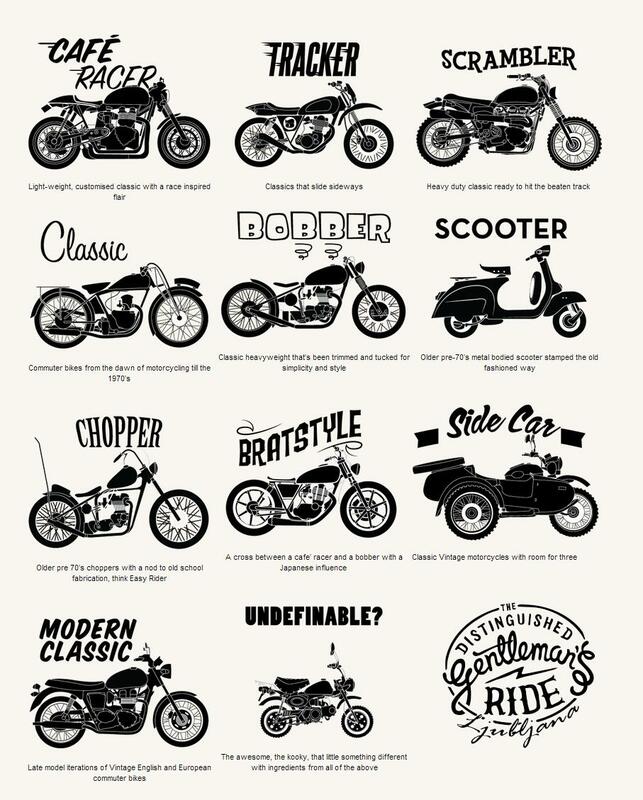 Do U find your moped on picture? than there’s no Reasons not to check official DGR Ljubljana 2015 FB page. 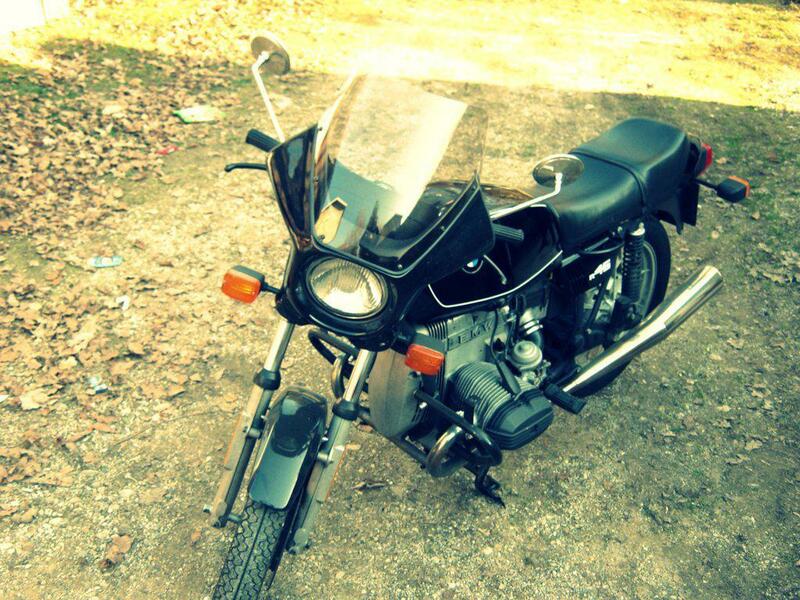 Come to charity ride in Ljubljana and have fun with us.